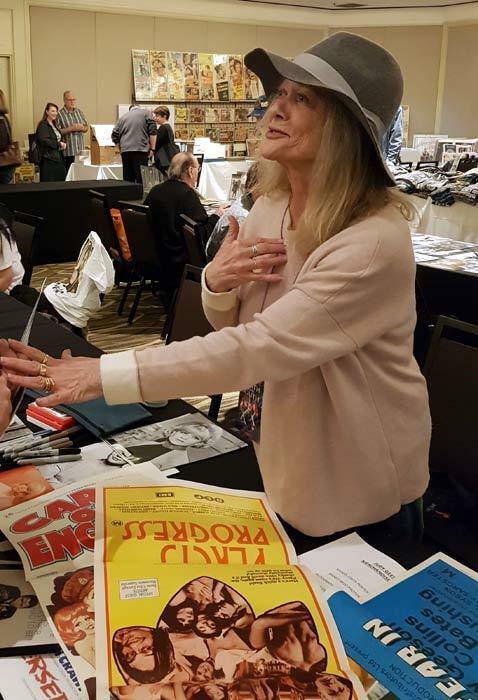 The lovely Judy Geeson signed a small selection of oriignal daybills for me at the recent Hollywood Show. Although she signed a lot of 8 x 10 photos she didnt sign any other daybills so the ones I have a quite unique. Her first major film role was in To Sir With Love and she has worked steadily in Film and television since then. She is reported to have earned £2,000 for her role in Carry on England in 1976. Amongst the posters that Judy signed for me were daybills from Adventures of a Taxi Driver, Percy's Progress, Fear in the Night, Hammerhead and Carry on England.